For fifteen years I have been a professional fly fishing guide and have been a part of hundreds of guided trips involving children. Based on what I have witnessed as a guide, there are definitely positive and effective ways to introducing kids to fly fishing. There are a lot of distractions out there for kids these days, so, if you want them to enjoy fly fishing and turn it into a lifelong hobby, the introduction needs to done the right way. I have a son who is just about two years old and he’s already made several trips to the water with me but hopefully soon he’ll be ready more than just observation and will be able to enjoy fly fishing himself. The key will be to make sure he is ready, to make it fun and interesting, to keep the time on the water suited toward a young child, and give him a good chance for success. At What Age Are Kids Ready to Fly Fish? This is a commonly asked question. There is never a set answer to that query. It has more do with a child’s individual interest, patience and maturity levels as well physical coordination and stamina. Some kids are simply ready earlier than others based on these criteria. The key is not to force it if they are not ready. At five years old I was already a fishing junkie and needed no coaxing from my father to tag along. At six, I was a fly fisherman and wanted to be in the woods or near a creek all the time. For many kids, nine or 10 is an appropriate age to think about getting them involved and teaching them to fly fish. In order for a child to stay focused on any activity, it has to be engaging. Think about learning how to fly fish and apply that struggle to a ten year old. A drill sergeant mentality, driven by inappropriate adult expectations, will ensure that a child will not enjoy fly fishing. This should be their time. Many of the most successful kids’ fly fishing guided trips I’ve overseen involved as much time skipping rocks, looking for bugs, playing safely in the water or talking sports as they did fly fishing. Find ways to make fun a priority and the trip will be a success and the child will want to go again, which is always the ultimate goal. How Long Can Children Stay Out There? Again, this is a case by case situation. Some kids can’t get enough while others bore easily. Try not to extend the fishing trip more than a few minutes beyond a child’s comfort level. Either take a break involving a snack or drink, or if they are happy and have had enough, end the day knowing it went well. Push it too far and an enjoyable fly fishing trip can turn ugly in a hurry. I tend to recommend half day trips for children until they reach their teenage years. After three or four hours kids are ready to either eat, take a nap or move on to a new activity. There are always exceptions and I have had some ace anglers in the boat that fished hard all day and hadn’t celebrated their 12th birthday yet. 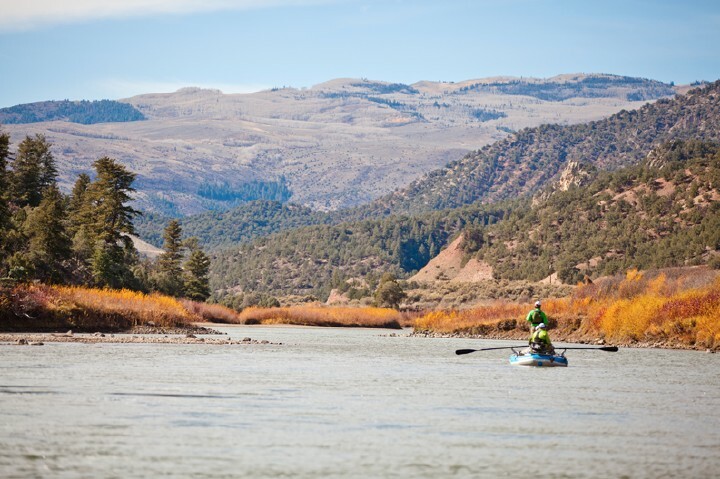 A successful day on the water is always relative in fly fishing and may involve seeing a bear or learning how to cast rather than landing 20 trout. I do think catching a fish is a driving force to get a child out of the house and back to the river. With this in mind, fly fishing trips can and should be set up to deliver the best possibility for catching fish. A farm pond full of gullible sunfish is perfect. For trout, a small stream or beaver pond loaded with small, eager brook trout is ideal. Whenever I have a parent/child team out on the water and the youngster is new to fly fishing I’ll handle this situation a couple different ways. First, my efforts are focused on the child landing a trout on their own with no help other than instruction. Next, if necessary, when Mom or Dad hooks up the rod goes immediately to child. Finally, if I feel the child really needs a fish and I’m confident I can make it happen quickly, I’ll hook a trout and hand them the rod. Most of the time that part is quickly forgotten and the celebration revolves around “their” fish. Make sure to have a camera ready! At Vail Valley Anglers, we appreciate every opportunity we get to introduce a youngster to fly fishing. We love teaching kids and putting them on their first fish on fly. 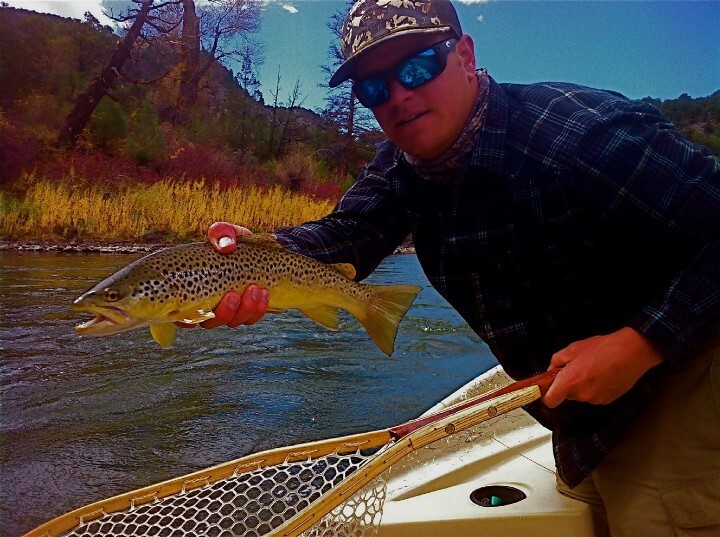 If you have any questions about bringing kids along on a guided trip or buying some new fly fishing gear for a child, give the experts at Vail Valley Anglers a call or stop by our Colorado fly fishing store. Previous post Why Choose A Specialty Fly Fishing Retailer?